Marathon training takes a toll on your body regardless of the plan you are using. I've come to find out that rest days are just as important to the training as the running days. For me, a rest day is a day I do not run, but will often times do yoga, roll or do some strength training on those days. Recently I was sent a TKO Soft Grip Jump Rope to review. I've read that plyos workouts enhance a marathon training, so why wouldn't incorporating jumping rope? It's worth a shot and it's fun! It definitely helps you feel like a kid again. And who wouldn't want to feel younger? I will say that jumping rope is harder than I remember. It definitely gets your heart pumping and jumping for 10 minutes is a great workout! 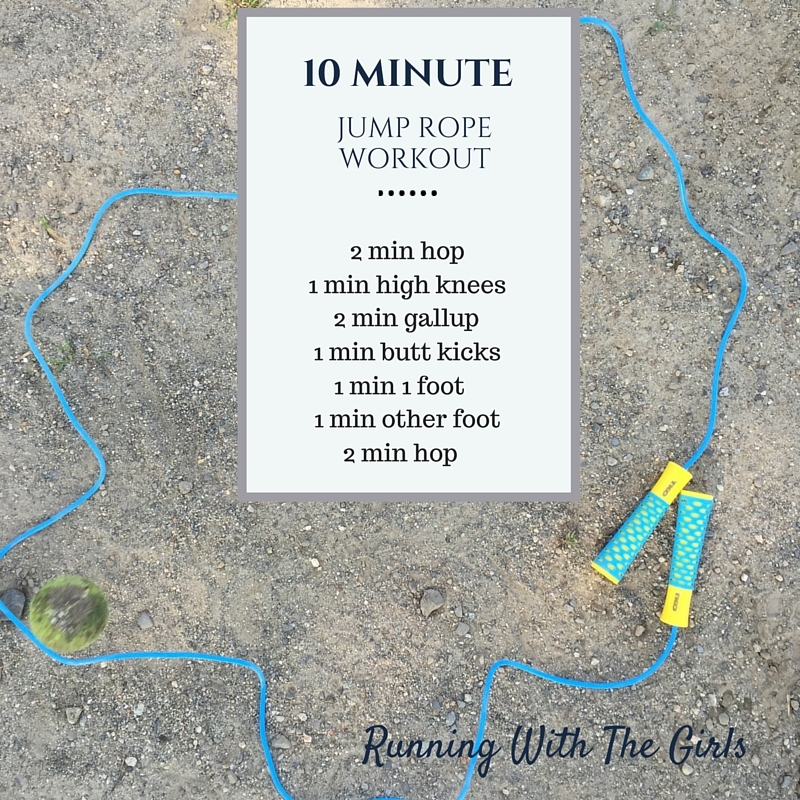 I came up with this simple (and portable) jump rope workout above. I have to admit that jumping rope on one foot is SO HARD. But once you get it down, you will rock it! And if you're curious how many calories this workout burns? And did I mention this great, simple workout tool is PORTABLE? It takes up virtual no space and you can take it to the playground, work (why not! ), beach, camping, vacation. Tell me - do you like to jump rope? What kind of jump rope workout do you use?